Since I wrote 6 Steps to Create a Comprehensive PR Plan in 2014, the public relations and communications industry has gone through a transformative time. The speed of communications is ever-increasing, and new channels are constantly emerging. There’s also a greater need to micro-target messages using interconnected cross-platform campaigns to create a continuous story experience. But getting the basics right still applies. Challenge your goal. What outcome do you want to achieve from the campaign? A change in behavior, a change in perception, increased sales, increased awareness? Brainstorm with your team to delve into the outcomes required from the campaign. Challenge assumptions and think differently. This is where you determine whether a campaign is a go or a no-go, which will save you time and money in the long run. Is it the right strategy for your brand right now in the current market context? Know your audience, know your platforms. The details are in the demographics. Determine which individuals you need to move to achieve your goal. Know how they interact and receive information about your brand. Where do they get their news? What platforms are they most active on? Who/what do they rely on as a trusted source? Who are they influenced by? How influential are they as a whole? A marketing research agency can help you segment your audience, while focus groups, surveys and polling can help you find answers to the questions above. UberConference can be used for focus groups with ability to monitor who is on the call, while SurveyMonkey offers a selection of ready-made marketing surveys. Let your data speak. Continually mine your data for insights. Consider social media monitoring software such as nuvi.com to help you listen in and see what others are saying about your brand, the industry you are in or the perception you want to sway. If you have the budget, you can work with a digital agency; if not, be resourceful and use the data you have available on your channels. Avoid the temptation to mass-market your campaign due to lack of data access. Create your storyline. Analyze other campaigns that are targeting similar audiences to see what is and isn’t working. What content is your audience responding to? What content are they creating? Review your agreed-upon goals for the campaign and brainstorm 3-5 storylines with your team, keeping the outcome in mind. Test your top storylines with a selected segment of influencers and revise, revise, revise based on input. You can release test storylines onto your social platforms to measure performance in terms of reach and spread across your audience segments or select influencers you are familiar with to participate in an online, closed focus group. Determine your channel mix. Your campaign story can determine your mix. Maybe you start with a consumer Instagram Story which ties into promoted brand content on media platforms. That Story ties to an event launch for your brand, and is followed by your brand story promotion. Think of multiple ways to lead and position the story, connecting within your public and consumer audience from the beginning. Truth, reputation and reliance are mainstays—make sure those key attributes are anchored in your approach and are reflected in your selection of media partners and influencers. 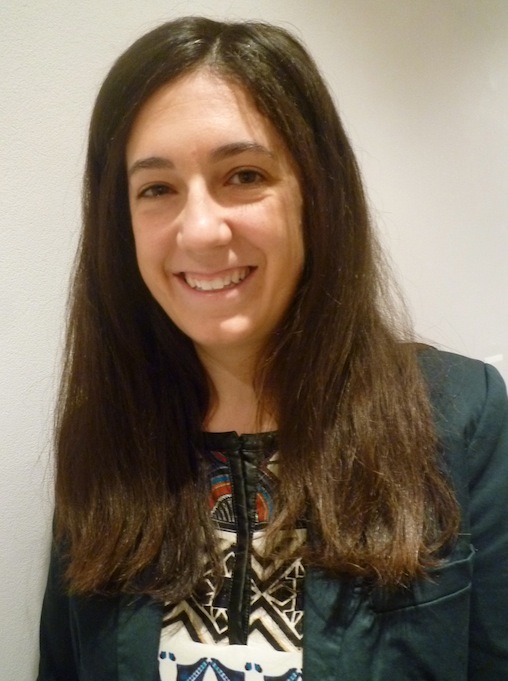 Marina Monzeglio has over eight years of experience in digital communications. She is currently a global communications consultant in Washington, DC. Prior to her consulting career in the States, Marina worked with the Secretariat of the Convention on Wetlands and the Global Alliance for Improved Nutrition both based in Geneva, Switzerland. Follow Marina on Twitter @marinamonzeglio. Like most internet users, I have visited multilingual websites before. It’s convenient to surf in your own language, and the uses go beyond. Where the translation on a website appears a bit “uneven”, I have sometimes compared language versions to better understand the content. So, going multilingual must be simple, right? Just replicate content with translated materials? A successful multilingual website is dependent on a series of factors, and I will outline here what I have found to be the most important. When writing content for a multilingual website, it is particularly important to use simple and effective language. Be consistent with your terminology, and avoid jargon. This will not only be appreciated by online readers, but it will also make the translators’ task easier. The relationship with the translators is crucial: news announcements and other updates for the web are usually time-sensitive and a roster of reliable and fast translators is needed to keep a website relevant and up-to-date across languages. A good relationship with translators can also help improve the original content – translators will flag and ask clarifications if the original text is obscure or incoherent. Always remember that a translation can be significantly longer or shorter than the original text, according to the pair of languages. Schedule time for adjustments to the web page layout if needed. The structure of a multilingual website is more complex than the structure of a monolingual website, and requires a robust content management system that can be regularly updated. To ensure better SEO results when using Google and other search engines, as well as maximum accessibility through assistive technologies such as screen readers, every web page should be properly labelled in the correct language. Pay particular attention to URL syntax, so they follow a clear and logical structure in each language and across the site. And your SEO strategy should include each language, allowing users to input keywords in their language and presenting results in their language only. Analytics can give you good insight into how users navigate the site in each language. With this data, you can make improvements to the site to optimise their experience. The sites that are driving traffic to yours will often also vary by language. Your approach to outreach must be multilingual, too. A successful website is a dynamic one, that does not only broadcast information but encourages reflection and reaction. Website users will likely be sending you requests in all languages, and a process for handling requests in all languages needs to be put in place. Creating a multilingual website does have a price tag, from cost of translation to additional staff time. However, it may be better to see it as an investment with the potential to deliver returns that dramatically expand your global reach and engagement. Deciding to launch a personal brand into the marketplace can be an exciting moment and one that also comes with some anxiety and apprehension. The urge to stay in the safe phase of researching (or conducting due diligence among your peers) is powerful and many never move out of the research phase to actually launching their personal brand. What will your audience gain from interacting with your brand? What is your audience most concerned with day in and day out – fulfilling their own needs. Think of your day today and how many times what you wanted was the priority – from choosing your morning coffee to deciding what music to listen to as you walked, biked or drove to work. Put yourself in your audience’s shoes. Talk to your potential audience and follow influencers in your field to develop an understanding of what is and is not appealing to them. How is your brand unique from what is already out in the market? You know you are on the right track when you sense a market need that no one else is filling in a way that is unique. And it’s rare when that happens. It can either be how you approach an issue or challenge, your expertise and knowledge or who you are as a person. Why you and why now? Life does not exist in a vacuum. Trends develop in industries constantly and public sentiment is along for the ride – watch the news in your field, speak to experts and your potential audience. This will give you an indication of when entering into a market would be most timely with the most long-term benefits for your brand. Are you relatable? Probably one of the more difficult questions to answer and one that will involve external assessment whether from a public relations professional or an informal focus group. What is being measured is your likeability factor, which directly correlates to expertise. If you are able to back up an approachable brand image with a deep knowledge of your industry and the issues within your industry, you will have a winning formula.